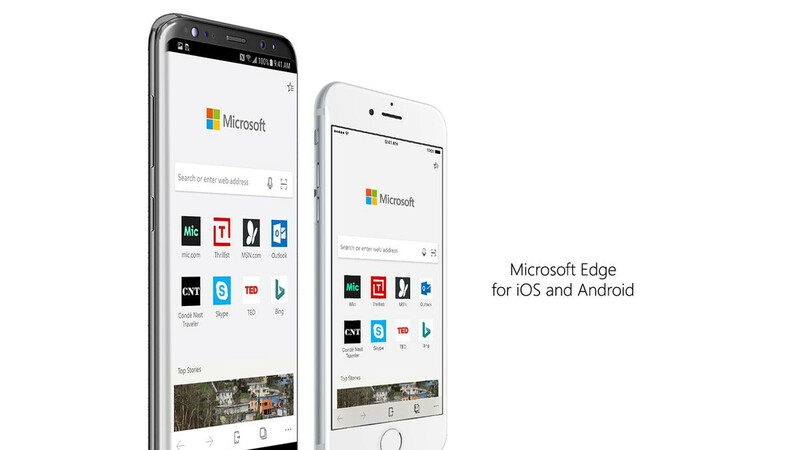 Microsoft Edge, the mobile browser the Redmond-based company launched on both the Android and iOS platforms, is about to get new features and improvements. If you're running the beta version of the app, you may have already seen some changes Microsoft introduced with the latest update. However, if you're only running the stable version of Microsoft Edge available in the Google Play Store, we'll let you know what to expect from the upcoming update. First and foremost, Microsoft is adding support for web page translation, a much-needed feature for any modern mobile browser. The feature is currently being tested in the beta version, so expect to be able to get an automatic translation when you load a website in a different language than the one configured on your device pretty soon. If you're using Bing Rewards with the Edge, you'll be pleased to know that Microsoft plans to fix the issue where the browser sometimes prevents users from receiving their rewards for using the search engine by default. Another pleasant surprise is the integration of Timeline with Windows 10, so you'll be able to see all the activity on your Android smartphone too. Last but not least, some performance improvements have been added as well, along with fixes for some well-known issues. Unfortunately, we don't have a release date for this update, but it shouldn't take too long to arrive in the Google Play Store now that's already available in the beta channel. They should support DEX mode ! !